GenreOnline.net: GHOST IN THE SHELL- "Inside the Weta Workshop"
Recently a small group of journalists got a behind the scenes look at the Weta Workshop in Wellington, New Zealand for the Blu-ray/Digital HD release of GHOST IN THE SHELL. They met with Weta Workshop VFX makeup artists for a Prosthetic and Make-up demonstration and were able to chat with senior Weta Workshop technicians to learn about the processes used to create props and costumes for the film. 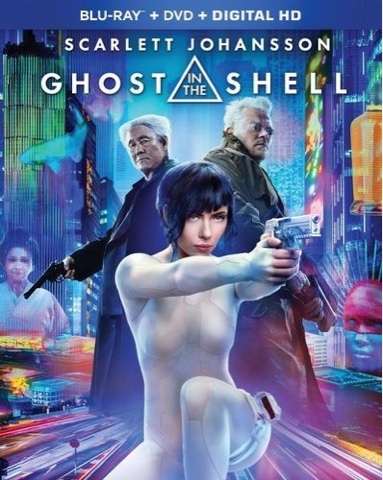 Afterwards, they visited some filming locations around Wellington including Victoria Street in the central city, which was the location of a major Scarlett Johansson action scene in GHOST IN THE SHELL. A Blu-ray Disc review is forthcoming presently.